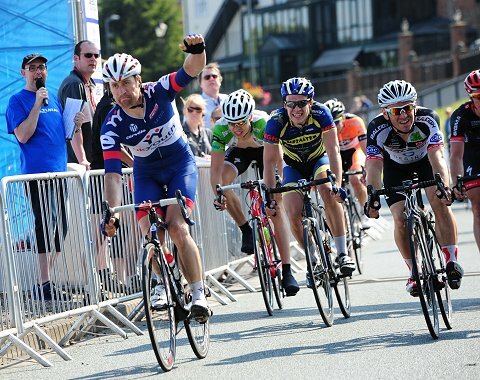 The Stockton Velo29-Altura Stockton Grand Prix has been won by Ian Wilkinson (UK Youth) in a group sprint with last years winner Graham Briggs (Raleigh) second and Evan Oliphant third. 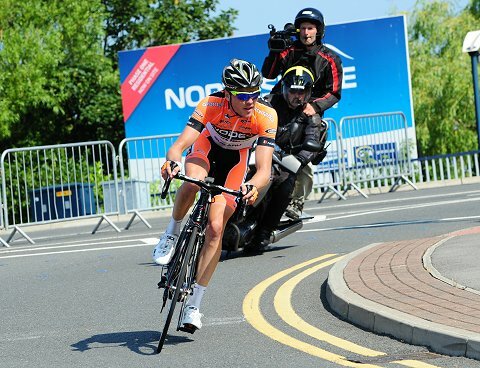 Ian Wilkinson sprints to victory on the Riverside in Stockton. The race saw a ten man break dominate the first half of the race with some top riders such as Yanto Barker (UK Youth), Tom Scully (Raleigh), Mike Cuming (Rapha) and so on before Herbalife brought it back and a bigger move then slipped off the front with five Raleigh, two from UK Youth and three from the GB Academy among the 20 or so riders. 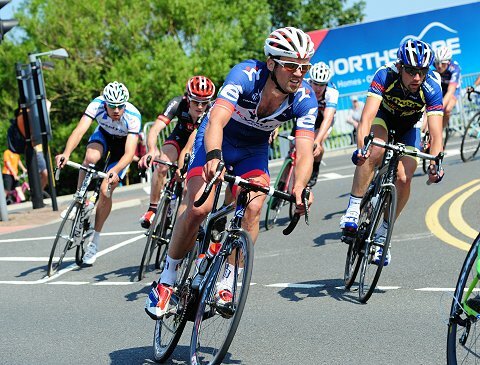 The break resisted a chase group of six led by Ben Greenwood (Hope Factory racing) and as they entered the finishing loops, Mike Northey (Node 4) went clear. 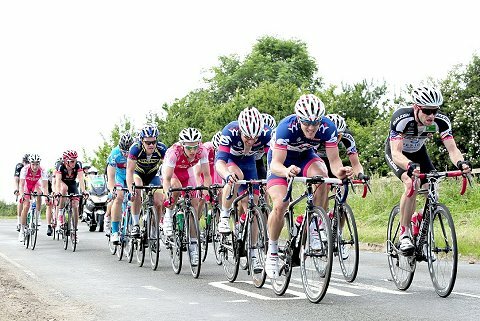 He opened up a good gap as the rest of the break sorted out who was going to chase. 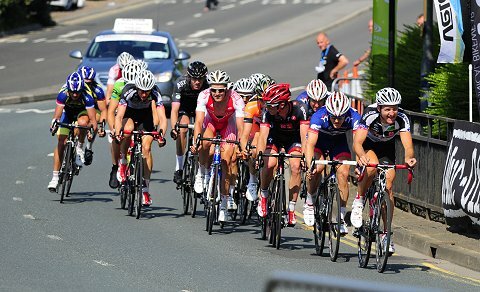 The peloton is strung out behind Alex Peters well behind the break leading the race. With the numbers, Raleigh did just that and brought Northey back before there was a flurry of little moves before it all came together for the final lap. 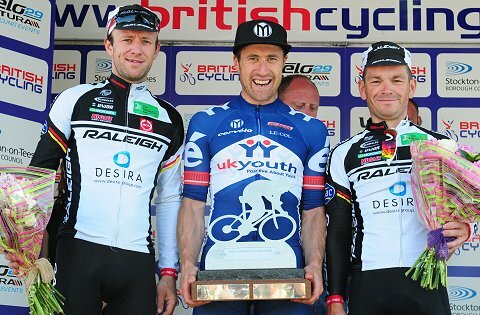 In the sprint, Wilkinson found a good wheel from a Metaltek rider and timed his move well to slip through on the barriers and win the race, his first Premier victory in a while. Mike Northey was out front for three of the six finishing loops but the wind and the chase saw him come back to the rest of the break. 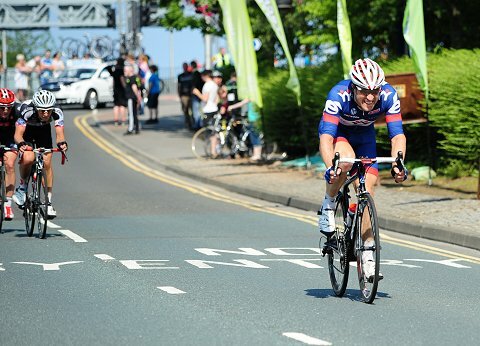 Ian Wilkinson chases down a break by Alistair Slater. “Being out numbered though, I thought we can’t really commit to this too much but we did our fare share.” Talking about the moment Mike Northey (Node 4) got away and opened a good gap, Ian explained it wasn’t really down to him and Tobyn to chase him down. 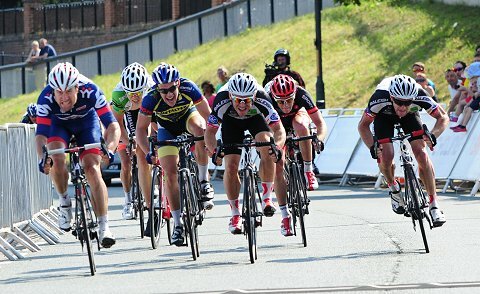 Friday night he explained was frustrating in the National Series Town Centre Circuit Race series event. “The win was gone with George (Atkins) up the road but it was frustrating to miss out on another potential podium”. 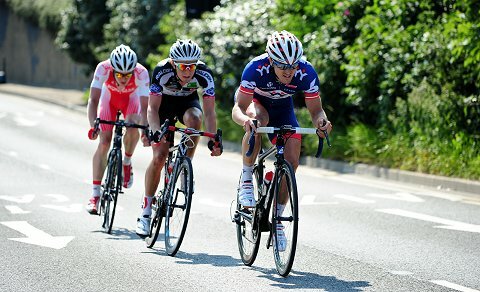 Yanto Barker: Part of an early move, Yanto said afterwards “I only went with one little move and suddenly, that was it! It wasn’t a big enough group to succeed in a race that distance and there were a few people who were struggling”. “We’re winning constantly and any kind of race as well. It was a really good job by the boys today so the big man will be happy”. 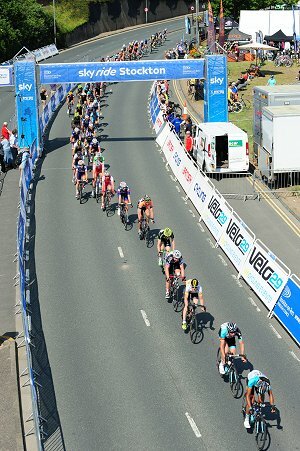 Bell lap and Raleigh’s Mark Christian leads out with Tobyn Horton on his wheel. 15 Eric Berthou (Team Raleigh) @ same time ?? ?